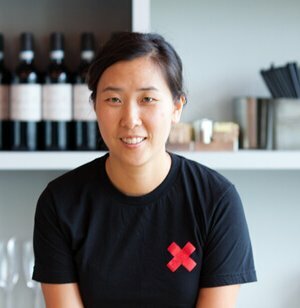 Rachel Yang, a 2018 James Beard Award nominee for the Best Northwest chef, is known for her singular culinary vision that artfully blends a love of bold, unexpected flavors with classic technique. Her food defies expectation and simple definition, and has earned her a reputation as an innovator and creative force. Yang’s food is beloved by seasoned, adventurous diners and often considered a revelation by newcomers eager to expand their palates. Her cuisine is informed equally by her personal history as a Korean native as well as her kitchen experience at restaurants Per Se, Essex House, and DB Bistro Moderne. Along with her co-chef and husband, Seif Chirchi, Yang owns three Seattle restaurants: Joule, a contemporary Korean steakhouse that was named one of 2013’s Best New Restaurants in America by Bon Appetite Magazine, and Revel, a lively, casual space for street food-style comfort food. Trove, one of 2015 GQ’s 25 best new restaurants, features noodle bar, Korean bbq, and parfait window. Now Portland is the new home for her latest and most exciting restaurant, Revelry, opened in August 2016.